I just wanted to write about something different today, I know you all love the recipes and what not but there was just something else on my mind that I had to write about! She told me that she could never do that because she doesn’t want her skin to break out, she chuckled and said ” so you’re the Guinea Pig” for your readers! yes it is A figure of speech and a metaphor since the 17th century, when certain Guinea Pigs were bred specifically for laboratory work. First it was for science and then it became ok for them and other animals to be tested for cosmetic companies! 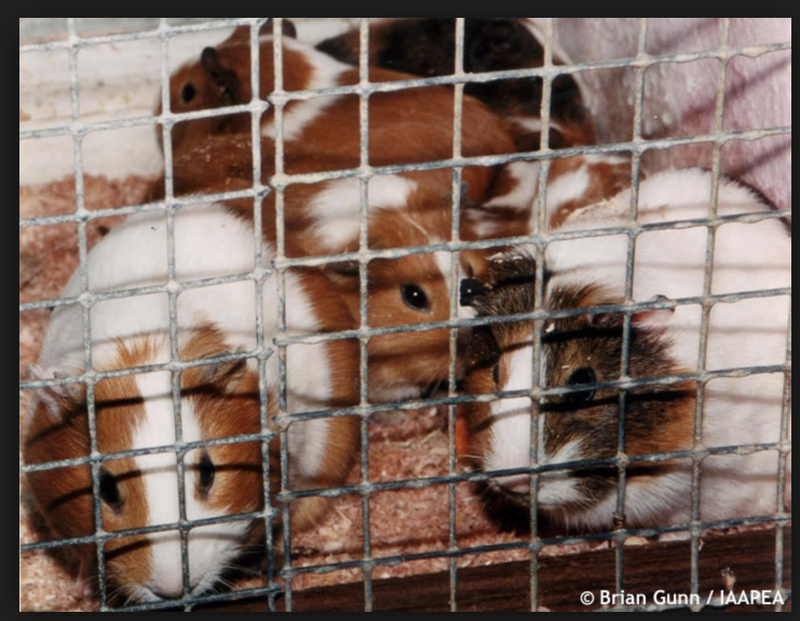 Since the 17th century Guinea Pigs have also become more popular as pets and most companies claim they do not use them as their main subject and use other animals instead…. that still does not make it ok!!! How do you differentiate the value of life between a dog or a cat a rat or a Guinea Pig or a Human for that matter!!! If these were pictures of Dogs in cages with rashes and sores on them more people would be outraged!! these are living breathing animals with emotions and feelings… how is it ok to keep these animals as pets and use them in animal testing at the same time? The person I spoke to probably did not visualize a cute little guinea pig when she said that… but I did! I just want to ask the question! what makes a Guinea pig so different than a cat or a dog! if this statement had been made about a dog most if not all would have been just as offended or angry as I was! Do your research before buying products. Buy responsibly and ethically and don’t support companies that condone this kind of torture on our animal friends. Next The Merry Hempsters will save the day! right there with you! Although I can’t say that have been using cruelty free products but I actually thought about starting to use them this morning because of your blog and the journey I am on. I look forward to more of your posts. I have thanked you in the past for doing all the leg work….but the thought never occurred to me you were my guinea pig…how awful..and rude of that person…the work of your blog is from your heart and I find you a very compassionate person…and love reading what you have to offer…..keep up the good work…..
There’s nothing wrong with being sensitive, it shows that you care and that you have strong humanity and compassion 🙂 People shouldn’t think we own other animals; all creatures deserve the chance to live their lives in peace. I agree its important to think about the language we use about animals if we are going to learn to treat them with compassion and respect. Like this post 🙂 This past year I started using cruelty-free products and it does feel great. I understand the feeling sensitive aspect..I carry that as well and sometimes it feels more like a burden! especially when people don’t understand. One thing that is frustrating is that so much of it is necessary..we don’t need harsh chemicals on us so we should’t have animals testing out such horrible products anyway.